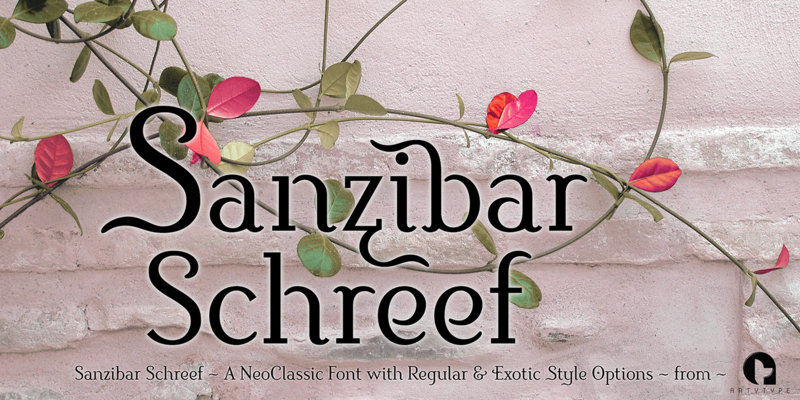 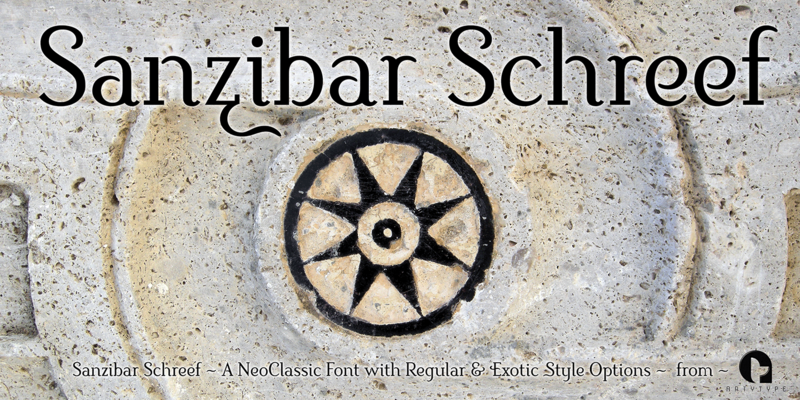 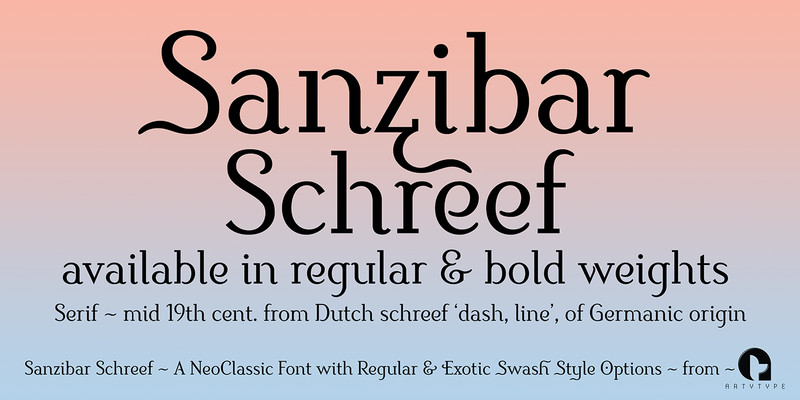 Sanzibar Schreef is a striking, modern typeface in two weights mixing slab serif letterforms with straight, rounded & angled terminal styles. 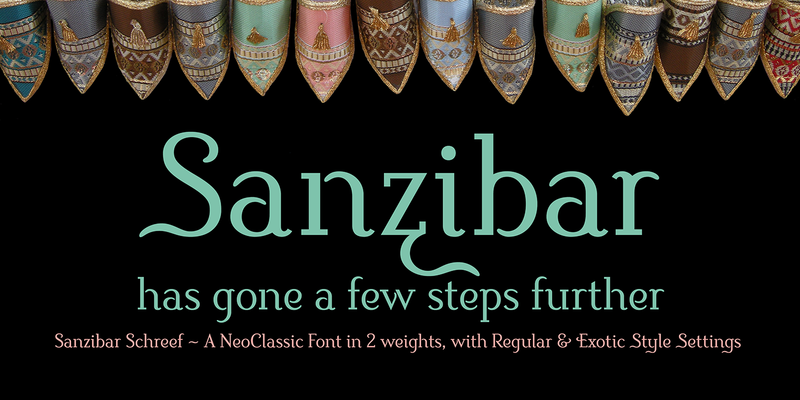 These hybrid characteristics, first seen in sister typeface Sanzibar Pro, lend a slightly exotic appearance to some of the neo classical forms. 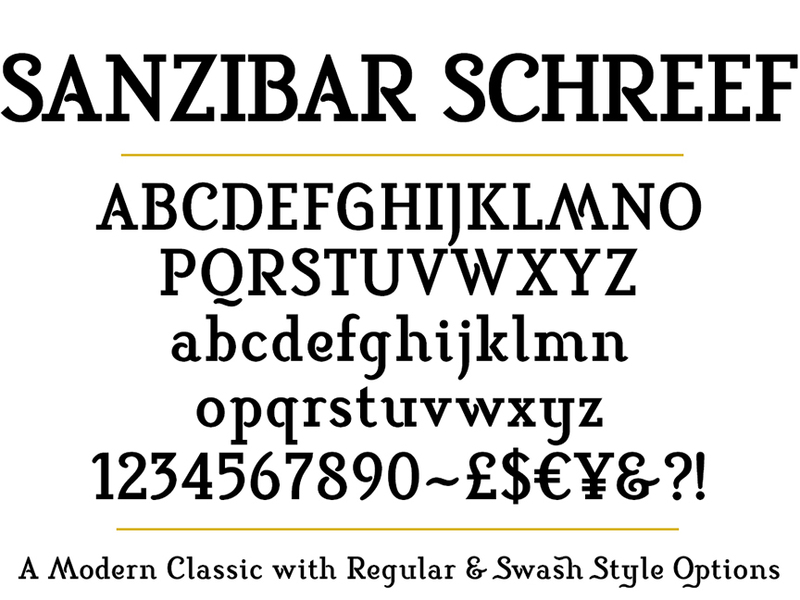 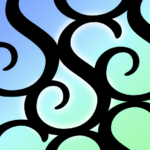 The word ‘serif’ is derived from ‘Schreef’, a mid 19th century Dutch word meaning ‘line’ or ‘dash’. 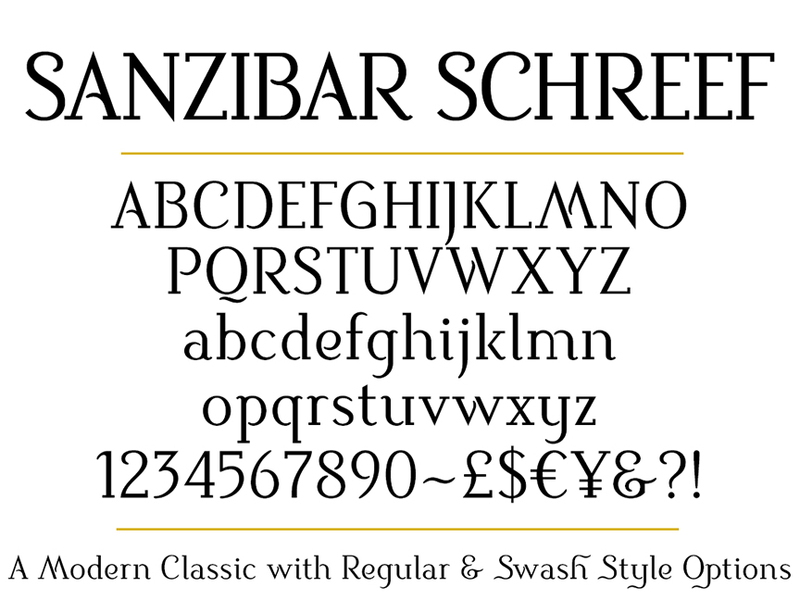 Sanzibar’s split personality is further enhanced by the inclusion of swashed and stylistic alternates which let the user embellish and personalise text settings with ease, changing the dynamic of any design or document instantly. 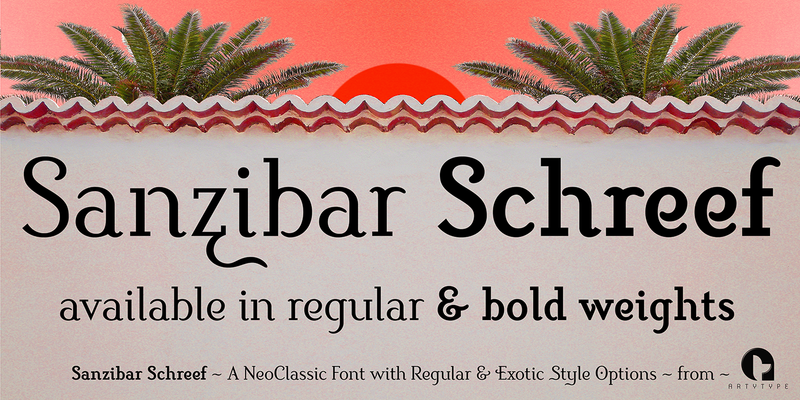 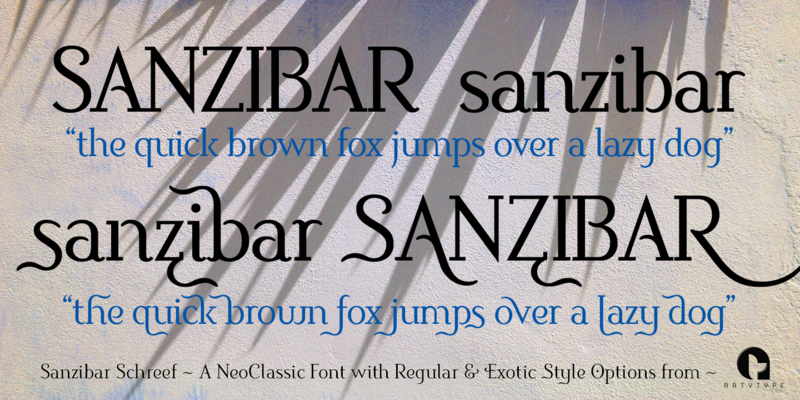 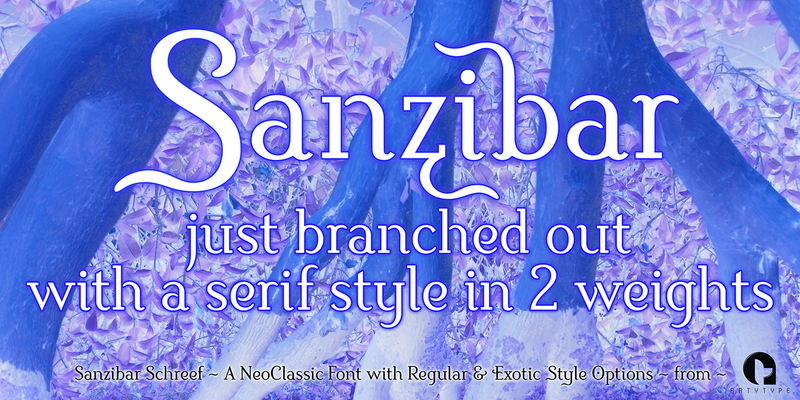 This ability to morph itself on the fly is a key characteristic of Sanzibar, shapeshifting from classic to flamboyant styling via the extensive glyph palette.